Ask anyone who has travelled in New Zealand to summarise their experiences in one word, and the chances are, that word will be ‘Epic’. This relatively tiny, remote country boasts some of the world’s most dramatic and unforgettable scenery. Turquoise mountain lakes are fed by vast ancient glaciers, sunlight bathes rolling fields full of flowering vines, soaring volcanic peaks are brushed with snow and verdant fjordland beckons with mysterious appeal. That’s why we think the most essential item to pack when visiting New Zealand is a good camera. One person who certainly appreciates the beauty of New Zealand was Peter Jackson, who spent his childhood in the countryside around Wellington on the South Island, shooting amateur movies with his friends. So it was only natural that when, years later, he won the opportunity to film J.R.R. Tolkien’s ‘The Lord of the Rings’ trilogy, he chose to shoot entirely in New Zealand. 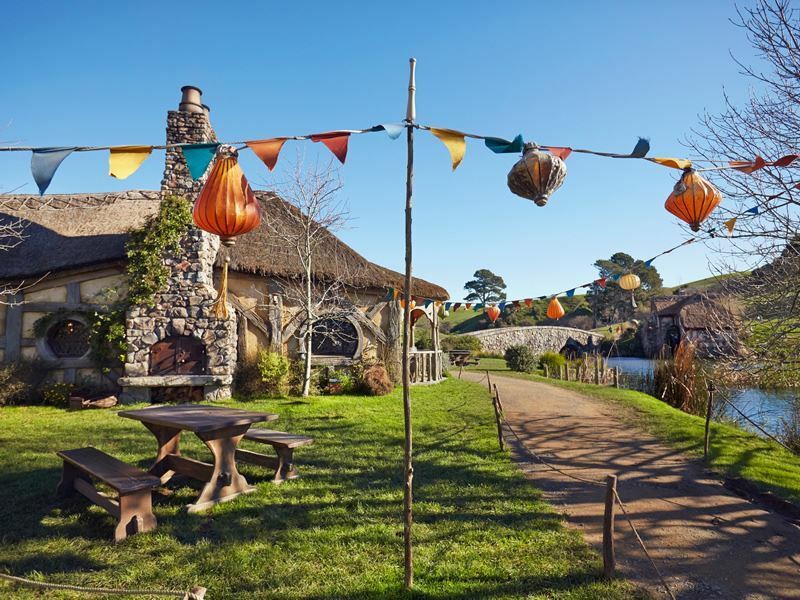 The impact of Jackson’s wildly successful films was so great that tourism receipts rocketed, and since then New Zealand has become a destination of choice for many other Hollywood projects, including of course a second Tolkien trilogy, also filmed by Peter Jackson, based on ‘The Hobbit’. This quiet little town in the rural Waikato region is probably the biggest draw of all for fans of Jackson’s movies. Why? 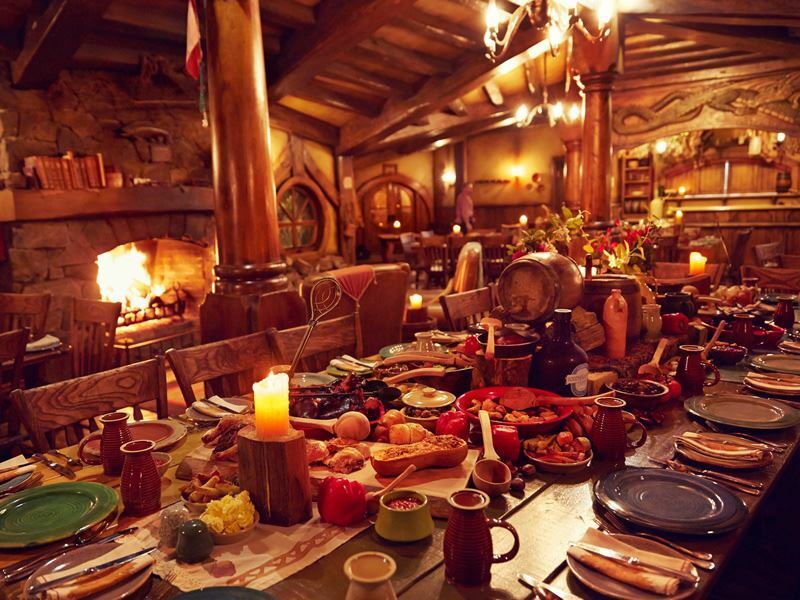 Because on a patch of nearby farmland Jackson built the set for Hobbiton, home of Tolkien’s hairy-footed and permanently peckish protagonists. 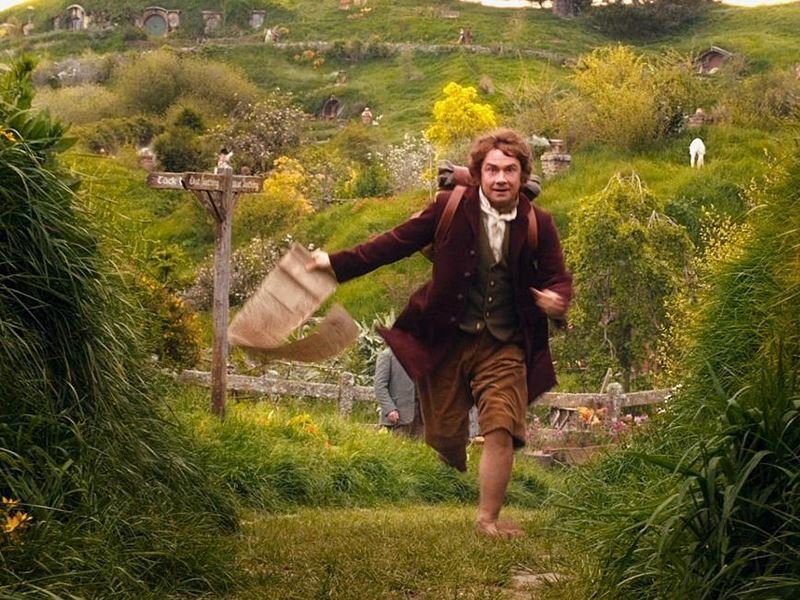 Over 40 ‘hobbit holes’ can still be seen there today, including Bag End, where both of the quests have their beginning. The hobbit holes were designed to blend seamlessly with the natural environment, so it was an obvious choice to leave them in situ as a tourist attraction. You can actually step inside some of the holes and get a feel for life as a hobbit - just be careful not to bump your head on the low ceilings! Other notable sights from the films here are the huge Party Tree, where Bilbo celebrates his 111th birthday at the start of ‘The Fellowship of the Ring’, and the welcoming Green Dragon Inn, scene of many a night of drunken revelry for Frodo and his companions, and where today you can enjoy a delicious traditional ale from the Southfarthing range. You can walk off the effects of a Hobbit-strength beer with a short trek leading to the the spectacular Wairere Falls, which at at 153m is one of the North Island’s tallest waterfalls. In part because of its rich Maori heritage, New Zealand abounds with wonderful place names. Piopio, 40 minutes drive south of Waitomo and its famous glow-worm caves, is surely among the best. Here in the Mangaotaki Valley you can take a stroll into the forest where Bilbo, Gandalf and their band of dwarves encountered the wizard Radagast the Brown in ‘An Unexpected Journey’, and where Gandalf first handed Bilbo the magical elven sword ‘Sting’. 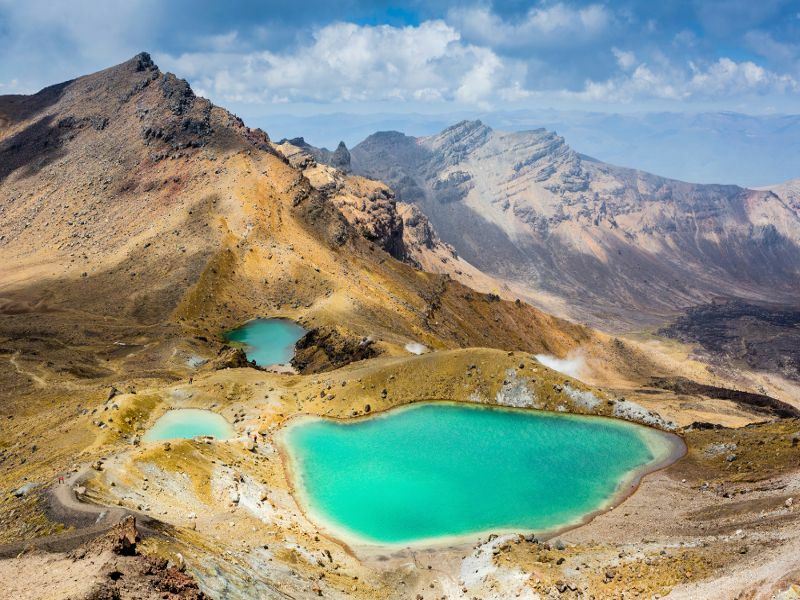 A couple of hours’ drive to the south of Piopio lies Tongariro National Park, home to the volcanic Mount Tongariro. Jackson filmed several segments of Frodo and Sam’s journey to eerie Mordor in the park. The area’s mountainous and wild landscape was ideally suited to Tolkien’s description of Mordor. Feeling active? The Tongariro Alpine Crossing is a popular full-day hike, and during the picturesque walk you can see Mt. Ngauruhoe, which doubled as Sauron’s base, Mount Doom. You’ll also encounter steaming craters, beautiful Alpine lakes and the pungent aroma of sulphur that reminds you this volcano is still very much active. Put your hands on the rocks at the summit for a toasty surprise. Another spot in Tongariro that’s worth seeking out for a photo opportunity is Tawhai Falls, near Whakapapa Village. Popularly known as ‘Gollum’s Pool’, this is where Faramir and his rangers were seen taking aim at the unfortunate Gollum while he was fishing. 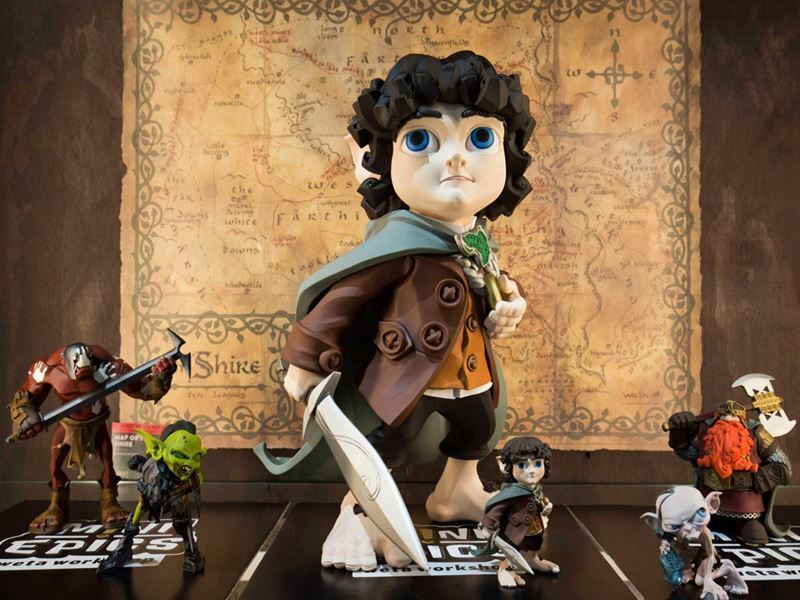 Wellington is one of New Zealand’s ultimate pilgrimage sites for Jackson-buffs and an unmissable stop on any Hobbit-themed tour. Peter Jackson taught himself the art of filmmaking while capering around the hills making a series of hilariously gory splatter films with a group of trusty friends. Eventually, he established his own special effects company, Weta Workshop, in the city. Named after an odd-looking nocturnal insect, the Weta Workshop is now a functioning film studio, and offers tours where among many fascinating artefacts you can see props such as suits of armour and weapons built for the trilogies, scale models and the workshop team’s collection of Oscars! On the outskirts of Wellington you can explore several other filming locations from ‘The Lord of the Rings’, including Kaitoke Regional Park, which was used for the stunning Elven kingdom of Rivendell, and Mount Victoria, where the hobbits fled from Sauron’s Black Riders. Another excellent reason to include Wellington on your itinerary is that the city is bursting with other cultural attractions to enjoy during your stay, from historic architecture and water-based activities to vibrant nightlife and dining scenes. The ferry crossing from Wellington over to Picton at the tip of the South Island takes only a few hours, but it crams in plenty of awe-inspiring scenery along the way - not to mention the chance of spotting dolphins dancing in the waves. Be wary though that the sea can be choppy, so make sure you leave the handbrake on your car and maybe don’t opt for a big breakfast before making the crossing. Blenheim, in the heart of the Marlborough wine region, is around a half-hour from Picton by road so depending on your crossing time, you could be there in time for lunch. This is a charmingly relaxed town that sees plenty of sunshine throughout the year, making it an ideal wine growing and tasting destination. But for Tolkien fans, it is Blenheim’s proximity to the Pelorus River that is of most interest. 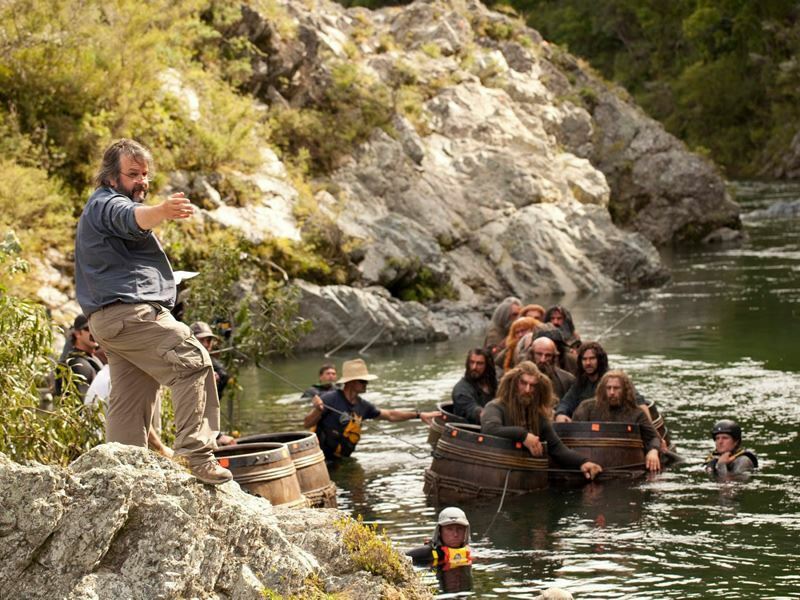 Jackson filmed the thrilling Barrel Run scene, a highlight of’ The Desolation of Smaug’, on a suitable stretch of the Pelorus river. 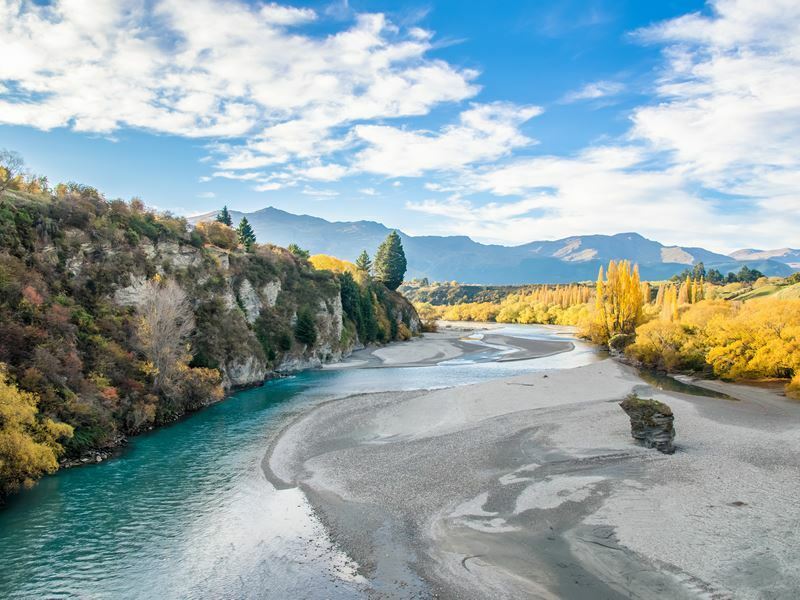 You can enjoy some truly idyllic views from the Pelorus Bridge, or even recreate the adrenaline-charged scene itself in a slightly milder fashion, by joining a kayak tour here. Built up a thirst? Afterwards you can scoop your hands to taste fresh water from a 10,000 year old spring. Driving down from Blenheim to Christchurch will take you the best part of a day. It’s easily doable, but this is New Zealand - it’s incredible, take your time. We suggest taking the coastal route and perhaps spending a few hours in Kaikoura. Not to be confused with the fictional Kaihoro, which was the setting for Jackson’s early amateur sci-fi movie Bad Taste, Kaikoura is the country’s foremost destination for whale and dolphin-watching tours. Responsibly managed and (almost) guaranteed to result in a sighting, these boat trips rank among the South Island’s most popular tourism draws, so be sure to book well in advance. Slip into a wetsuit, and you can sometimes swim with a pod of curious dolphins too, which for many people is a bucket-list experience. Christchurch makes an excellent base from which to explore the Canterbury High Country region. Though it was devastated by an earthquake a few years back, rebuilding is well underway and the city’s distinctive culture is if anything stronger than ever before. Since the themes of adventure and exploration are so strong in Jackson’s trilogies, perhaps he kept in mind the knowledge that Christchurch was the jumping-off point for many early Antarctic expeditions, such as those led by legendary explorers Robert Scott and Ernest Shackleton. If you stay in Christchurch then you can easily make a day-trip out of Mount Sunday. 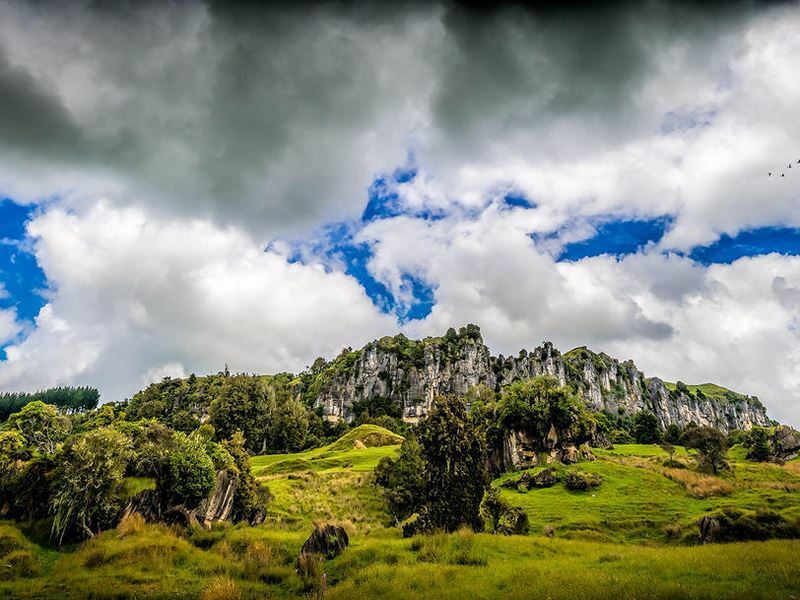 Jackson’s ‘The Lord of the Rings’ team spent nine months building a lifelike set around the sheer cliffs of this towering peak to represent the Rohan city of Edoras. While the sets are long gone, you can still enjoy some breathtaking panoramas of Middle Earth from the summit. 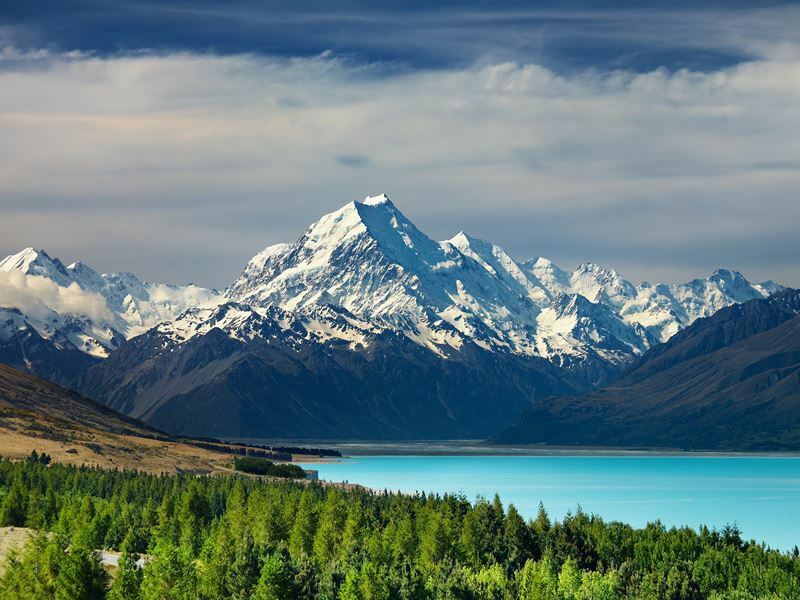 Mount Cook, or to give it its Maori name, Aoraki, is New Zealand’s highest mountain. Sir Edmund Hillary trained here before going on to conquer Mount Everest, and the Mount Cook / Aoraki National Park contains the country’s only Dark Sky Reserve - this is the perfect spot for some romantic stargazing. Nearby, Lake Pukaki doubled as Laketown in ‘The Desolation of Smaug’, while Braemar Station was used as a canvas for several key moments in the films, including the approach to Rivendell, the Warg chase and the Misty Mountains scenes. You’ll encounter some of New Zealand’s most majestic scenery in MacKenzie Country, which occupies the central part of the South Island. The town of Twizel lies at the bottom, in the centre of the Alpine MacKenzie Basin, and this is where the epic Battle of Pelennor Fields was shot. 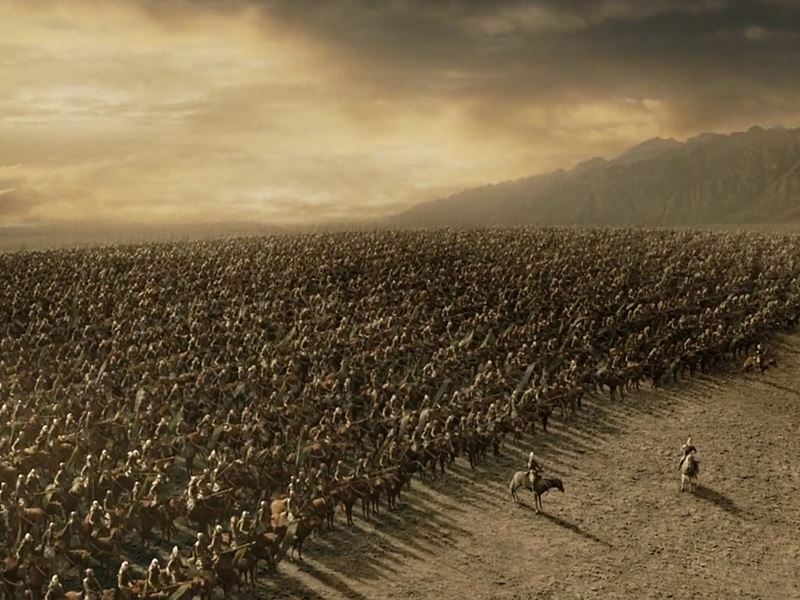 Sauron’s army of orcs were defeated by the men of Gondor and the Riders of Rohan in this formidable clash. If you’re familiar with Jackson’s Tolkien trilogies then you may well recognise the area as the backdrop for many other memorable scenes. This is rural New Zealand at its very finest, an absolute pleasure to drive through leisurely. MacKenzie Country is the gateway to Queenstown, which is of course another of New Zealand’s must-see destinations. From bungee jumping to jet boating, heli-biking to snowmobiling, Queenstown is ground zero for the white-knuckle experiences for which New Zealand is justly famed. The list of extreme activities on offer is practically endless, but there are also plenty of relaxed pursuits available too, from hiking and cycling to kayaking on lightning bolt-shaped Lake Wakatipu. The Queenstown area is notoriously beautiful, so it’s no surprise that Jackson and his crew decided to shoot many scenes from both trilogies around these parts. The well-trodden Earnslaw Burn track, across a glacier that sends waterfalls cascading over a cliff, was seen as Bilbo and the dwarves left Rivendell in ‘An Unexpected Journey’, while Deer Top Heights served for Gandalf’s urgent ride to Minas Tirith in ‘The Return of the King’. Meanwhile Arrowtown, a historic goldmining town just a short distance from Queenstown, was the location for the fantastic scene where Elven warrior Arwen confronted Sauron’s evil Black Riders. 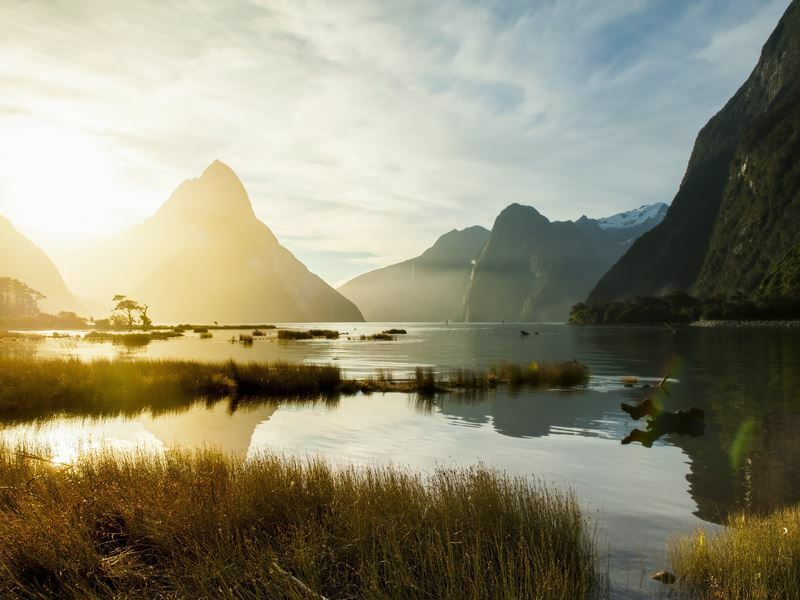 While not included on this itinerary, a trip to Fiordland is certainly possible from Queenstown with a long day. Located on the southwestern tip of the South Island, Fiordland National Park comprises some of New Zealand’s most unique and unforgettable landscapes. Dominated by the imposing Southern Alps, fjords branch off in various directions, carved by glaciers over many thousands of years through an area that is almost entirely unpopulated. Waterfalls gush down sheer cliffs between strands of ancient rainforest, and intrepid hikers venture along some of the country’s best-loved walks in an area referred to as ‘the eighth wonder of the world’ by writer Rudyard Kipling. The best-known fjords here are Milford Sound and Doubtful Sound, which are very popular with boat-trippers. While much of Fiordland territory is difficult to access, Peter Jackson did use some stretches to portray Middle Earth. It was depicted on screen when the company soared on the backs of eagles in ‘An Unexpected Journey’, and also served for an iconic shot when the Fellowship passed the Gates of Argonath on the approach to Gondor. The two gigantic statues of Isildur and Elendil were digitally superimposed on the Fiordland scenery. 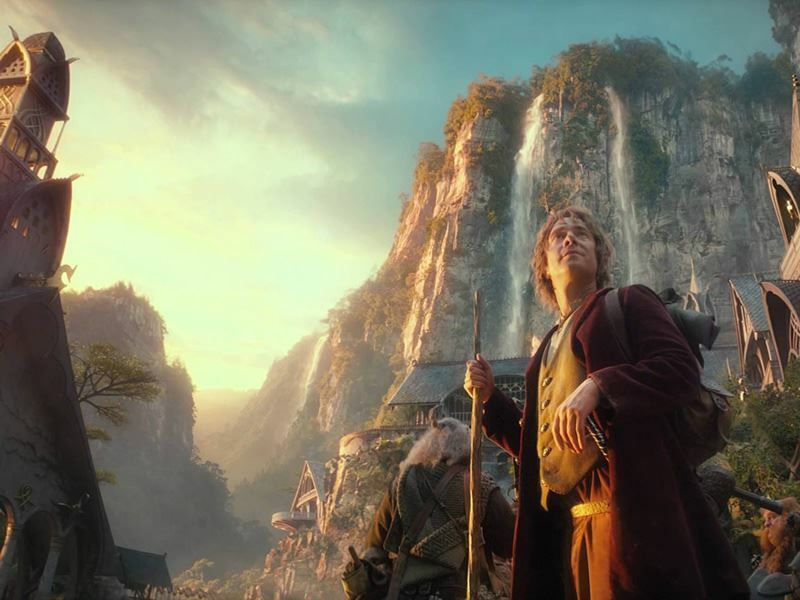 Perhaps the best thing about Peter Jackson using his beloved New Zealand as the setting for the Hobbit trilogies is that he travelled the length and breadth of the country to find his ideal shots. That means that you can easily combine location-spotting with the wealth of other natural and cultural attractions found on both islands.